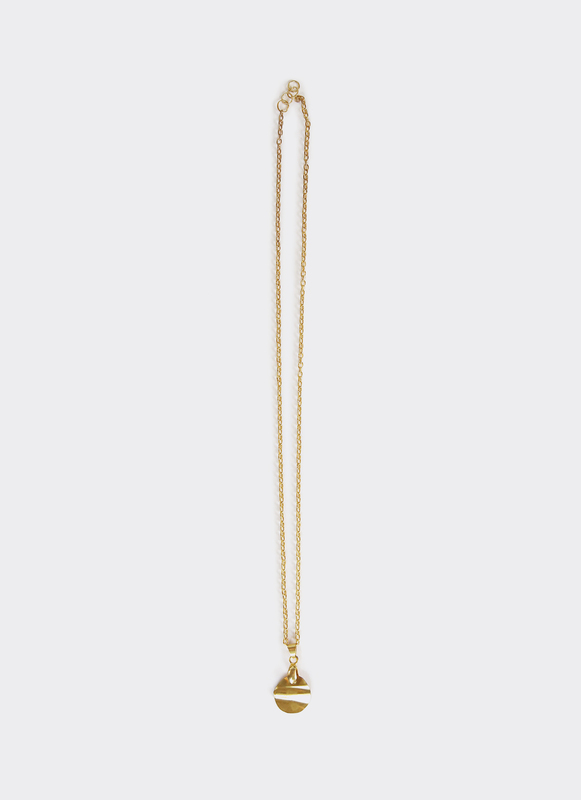 Channelling your luxury look by wearing this Formative 01 Necklace from Kamala. This Formative 01 Necklace features a material manipulation from Solid Brass into Paper-Like Earrings. The concept was to bring industrial material into a zero-waste making process. Feature this sweet pair as an add-ons to your style and you're ready to look spot on! Try keeping it away from excessive contact with water, sweat, chemicals and humid air. West Java: 1-3 Working Days, Outside West Java: 2-6 Working Days.